El Niño is a naturally occurring phenomenon characterized by the abnormal warming of sea surface temperature in the central and eastern equatorial Pacific Ocean. On average, it occurs every two to seven years and can last up to 18 months. During El Niño episodes, normal patterns of tropical precipitation and atmospheric circulation are disrupted, triggering extreme climate events around the globe. Read more at FAO in Emergencies and GIEWS El Niño Collection. Agriculture is one of the main sectors of the economy that could be severely affected by the El Niño phenomenon. While drought is the main threat to food production, El Niño can also cause heavy rains, flooding or extremely hot or cold weather. This can lead to animal disease outbreaks, including zoonosis and food-borne diseases, as well as plant pests and forest fires. In previous El Niño events, people whose livelihoods depend on fisheries have been heavily affected in certain areas. With climatologists predicting that the 2015-16 El Niño event could become one of the strongest on record, FAO is moving forward with specific plans for early interventions under its Early Warning - Early Action System. The Early Warning - Early Action System is a new FAO initiative developed with the understanding that by acting before a crisis escalates into an emergency, disaster losses and emergency response costs can be drastically reduced. Early action also strengthens the coping capacities of at-risk populations – a key priority within FAO’s Strategic Objective 5 to “increase the resilience of livelihoods to threats and crises”. Fourteen countries in Africa, the South Pacific, Asia and Central America are being specifically targeted due their increased risk to extreme weather and a subsequent negative effect on vulnerable people. Another 19 countries are classed as facing moderate risk. 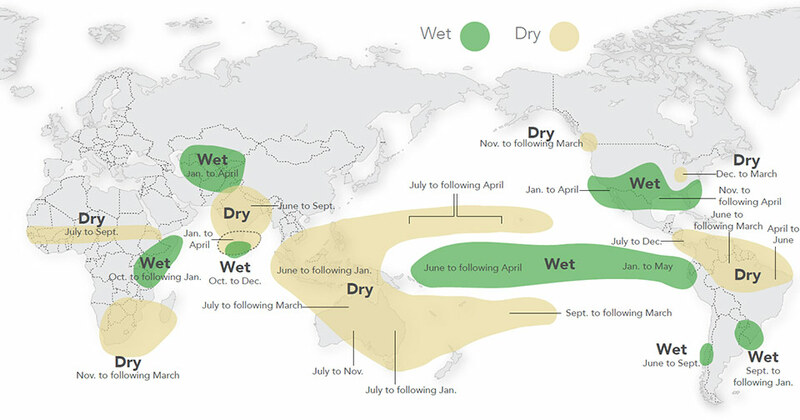 FAO is monitoring the current El Nino event and designing and implementing early actions to reduce the effects on vulnerable populations in all high-risk countries and in some of the countries at moderate risk. FAO is supporting the countries of the dry corridor in Central America to increase the resilience of households, communities and institutions to prevent and address disaster risks that affect agriculture and food and nutrition security in a timely and efficient manner. Read more about the Disaster Risk Programme.